Over the last 16 years I have traveled all around Australia shooting amazing places in all kinds of light and moments. 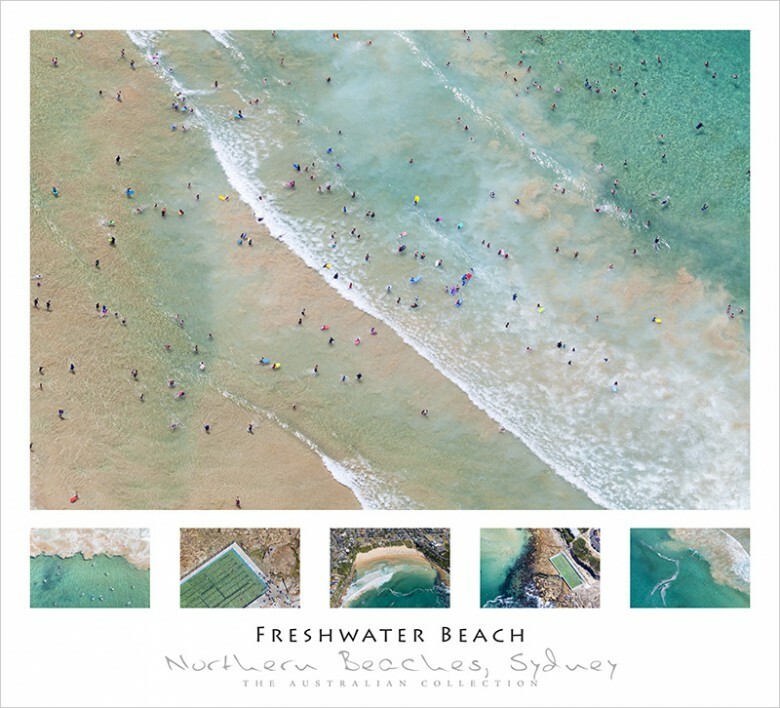 Aside from the landscape panoramic photos, I also have a wide range of aerial and surf images, these too have been made in wall posters. All the images in the posters from around Australia draw from my extensive collection in the main gallery. I’m constantly adding new images and posters to the collection so be sure to check it out or if you see an image in the main gallery that you like and want as a wall poster then let me know. I pride myself on giving the customer a high quality product and these posters are no different. When you order a poster it is then printed on Canon’s latest and best printer the ipf8400, giving it amazing colour and definition, just as you would get in a photograph. 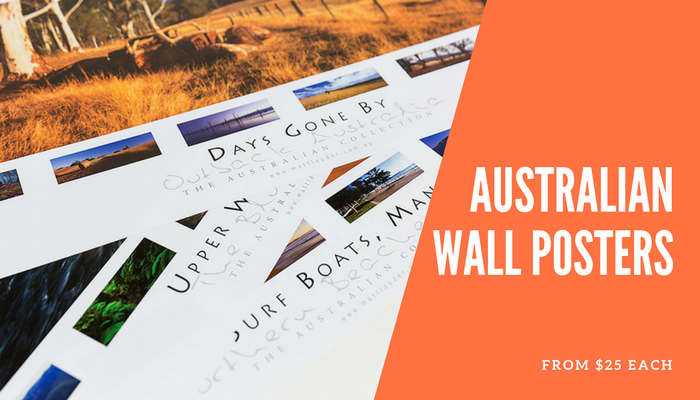 All posters are printed on a nice thick durable paper making it perfect for mounting or framing for a life time on your wall. I recently printed about 15 posters for a client fitting out a retirement village in South Australia and they chose a wide range of posters to be framed and displayed. In this video you will see a portion of this order just after they have been printed. 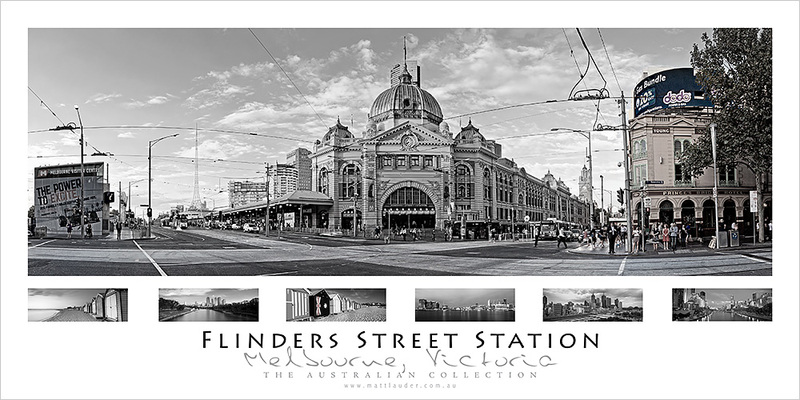 We offer two types of posters our “Classic Panoramic Poster Series” and our “Classic Square Poster Series”. 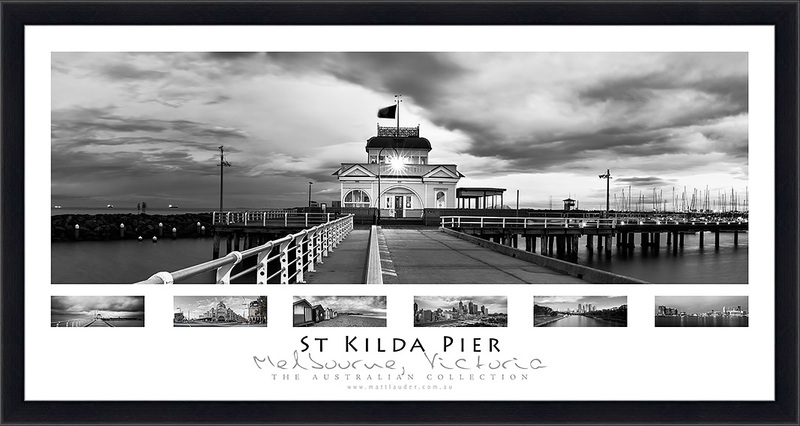 Our Panoramic poster are 72 x 36cm in size. They have a main print with 6 small photos underneath that a relevant to the main photo. They have a RRP of $25 each. Our Square posters are 65 x 59 cm in size. They also have a main print with 5 small photos underneath that are relevant to the main photo and area. They have a RRP of $40 each. All our posters are printed and wrapped in tissue paper then rolled and poster in a secure mailing tube. We offer flat rate postage costs, so if you buy one poster or 100 you will only pay the one same cost. All Australian orders are shipped express post for $15. All International orders are shipped Airmail for $35. Nothing is more classic than a Black and White photo so that is why we also have a range of posters that are all black and white. We are always looking to add new black and white posters to our collection so if you see a photo you like let us know and we will make it black and white for you and add it to our collection. If your wanting your poster framed then we are happy to help. We can frame your poster in any of the frame colours you see on the images in the main gallery. We currently have Black, White, Mocha, Brushed Silver and Tasmanian Oak. Looks brilliant Matt and also very competitively priced I would think. Nice ones Matt, I think a few of these will be winging their way to Coventry over the coming years.